11:32 AM (IST)Thousands of farmers from across the country, who have been camping at the Ramlila ground here since Thursday, began their march to Parliament Street on Friday amid heavy policy deployment, to press for their demands, including debt relief and remunerative prices for their produce. Farmers March begins from Ramlila Maidan in Delhi. Over 1,000 farmers from Tamil Nadu have reached Delhi in the early hours of Friday carrying skulls of their colleagues who had committed suicide. The group threatened to march naked if they are not allowed to go to parliament today. Traffic affected as around 400 farmers march toward Ramlila Maidan from Ajmeri Gate. Delhi Traffic Police: Traffic movement is closed on Sansad marg due to Kisan March. Kindly avoid the stretch. 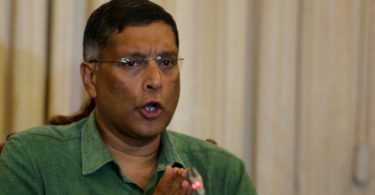 According to Madhur Verma who is the Deputy Commissioner of police (New Delhi), on Thursday, 29th November 2019, said that gathering of the farmers will be huge and the police department is expecting the crowd of 12,000 to 15,000. The farmers from all over India will gather at the Ramlila Maidan in central Delhi and organised a march to Parliament Street the next day on Friday. Though, after the statement of Delhi’s Deputy Commissioner of police about gathering of 12- 15 thousand of farmers, the organisers of the event said that they are expecting over 40,000 farmers to march to Parliament Street on Friday. The farmers are raising their voice against the agricultural and farming crisis, demanding a special three week joint sitting of Parliament to talk over the agrarian crisis faced by the farmers. In just 2 months of time duration, this march is going to be the major protest of farmers in the national Capital, Delhi. Earlier on 2nd October 2018, the major protest took place at national capital by the thousands of farmers to demand support from the government. The protest took a violating turn when the Delhi police refused to enter thousands of farmers into the city, because of which at least 20 people as well as police personnel were wounded in a clash between marchers and security recruits at the Delhi-UP gate border on NH-24. 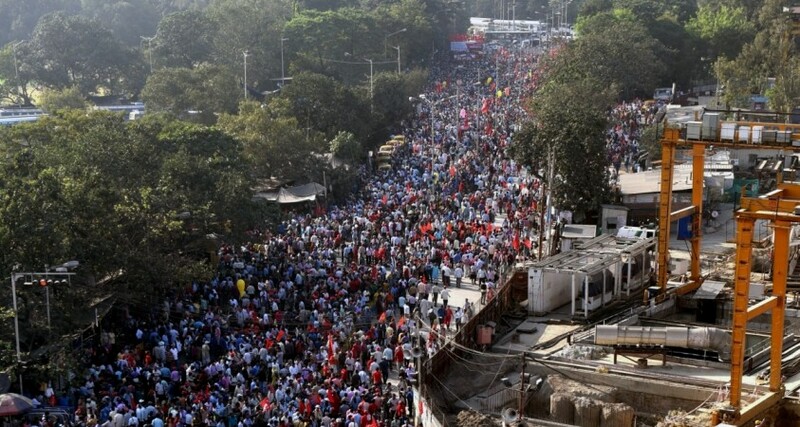 “On Friday, the farmers plan to march up to Parliament Street. The march will be monitored to avoid the possibility of any untoward happening,” Verma said. According to a Delhi government spokesperson who said that they have arranged all the facilities for the farmers and also emergency amenities are also fulfilled such as about 260 mobile toilets, drinking water tankers and ambulances for the protesters are implemented for the protesters. The march is being organised under the banner of the All India Kisan Sangharsh Coordination Committee (AIKSCC), an umbrella body of around 200 farmer organisations from all over the nation. 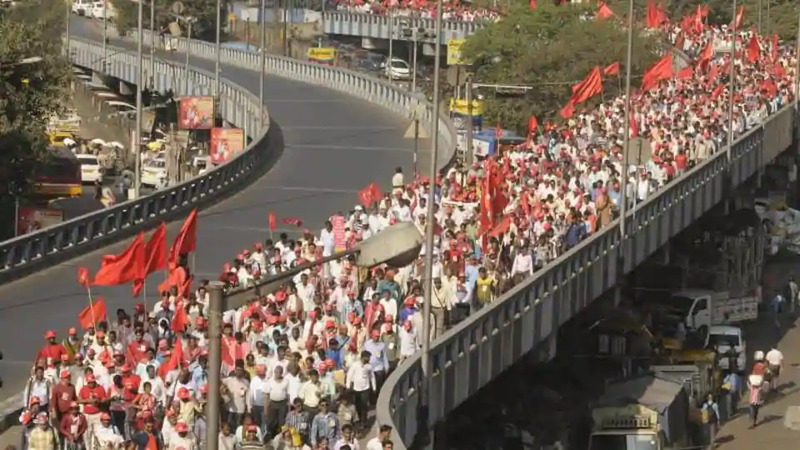 The two day march is being allocated as similar protest which was held on March this year from Nashik to Mumbai by more than 35,000 farmers across Maharashtra. The farmers started entering Delhi on Thursday from Anand Vihar, Nizamuddin, Brijwasan, Majnu Ka Tila and Kishangarh, to reach Ramlila Maidan after 5pm, said by the organisers. This time, Police personnel are trying their best to avoid any kind of violence which took place at previous protest by farmers. They will keep a watch on those farmers as well as these areas to accomplish a non-violent and peaceful protest.